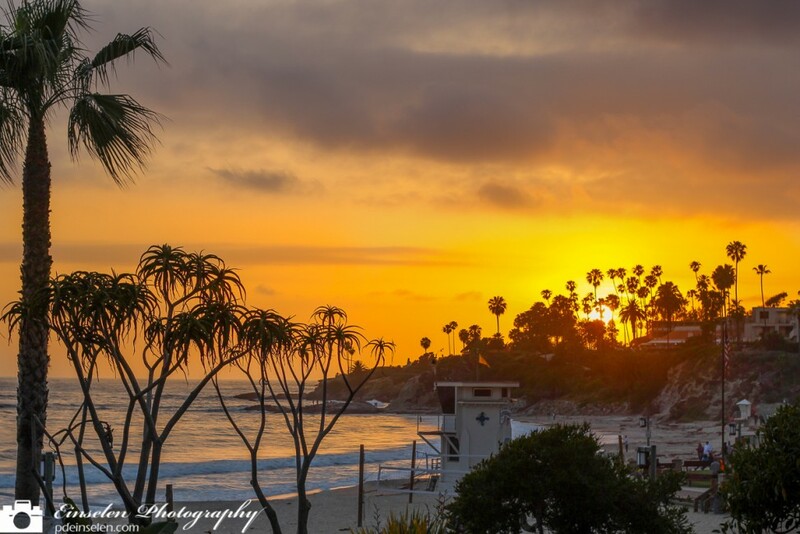 This is a retouched/re-edited photo of the Laguna Beach Sunset that was originally posted to my website. The reason I am reposting the photo is because recently I have tested out Lightroom as Apple has announced they will stop development of Aperture to instead focus on the iOS/OS X Photos. All adjustments made to the Laguna Beach Sunset were done in Lightroom except for the removal of four people who were posing for photos on the beach. The original Laguna Beach Sunset was one of my favorite shots and after retouching it in Lightroom I have fallen in love with it even more. Laguna Beach is a seaside resort city located in southern Orange County, California, United States. It is known for its mild year-round climate, scenic beaches, coves, artist community and the dedicated greenbelt and protected bluebelt that surround this historic village. The population in the 2010 census was 22,723. Laguna Beach was the habitation site of a prehistoric paleoindian civilization. In 1933, the first fossilized skull of a paleoindian found in California was uncovered during construction on St. Ann’s Drive. Known as “Laguna Woman”, the skull originally was radiocarbon dated to more than 17,000 BP, however, revised measurements suggest it originated during the Holocene era 11,700 years before present.Subsequent research has found several prehistoric encampment sites in the area.